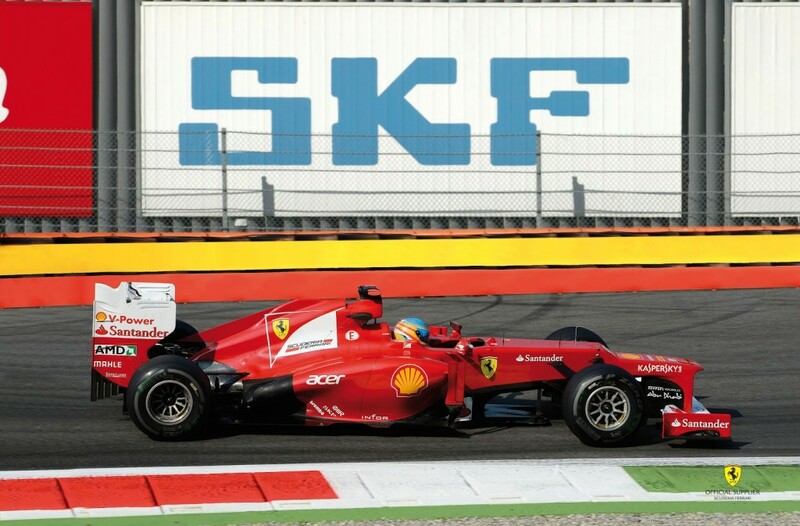 With the end of the Formula One Championship 2012 SKF also comes to an end of the 65th anniversary of its technical partnership with Scuderia Ferrari. The partnership was renewed earlier this year until the end of 2014 and continues to be the longest ever uninterrupted technical cooperation in Formula One history. Since its start in 1947, it has resulted in 219 wins for Ferrari, and 31 World Championships. “SKF is proud to cooperate with Scuderia Ferrari in yet another challenging F1 year and congratulates both the team which classified second in the list of Constructors’ Champions and Fernando Alonso on his second place in the Formula One Drivers’ standings. We look forward to the continuing cooperation”, says Jean Sylvain Migliore, SKF Racing Unit Manager. The official sponsorship agreement includes supply of bearings for wheel ends, suspension, transmission, gear applications and KERS, the Kinetic Energy Recovery System, as well as sealing solutions and engineering services particularly in the field of condition monitoring systems. SKF supplies Scuderia Ferrari with around 150 components, which means virtually all of the bearings assembled on an F1 car. SKF later transfers the developed technology into offers for the general automotive industry. Already now and also within the next 14 months SKF will be deeply involved alongside Ferrari to further develop the V6 turbocharged powertrain, to meet higher reliability targets and the car trend of downsizing components and increasing fuel efficiency.